In the modern world, human population continues to increase which also means that we occupy more space on the planet. Sadly, as we occupy more livable space, it negatively impacts native plants and wildlife. So about a century ago, it was generally agreed that the pristine nature of the United States should be conserved and preserved for posterity. In March 1872, the United States Congress established the very 1st national park, the Yellowstone National Park. So why are national parks important? In this post, we’ll discuss the importance of national parks, from its economic impacts to health benefits. Conserving and protecting the environment and wildlife is the main reason why were national parks created. 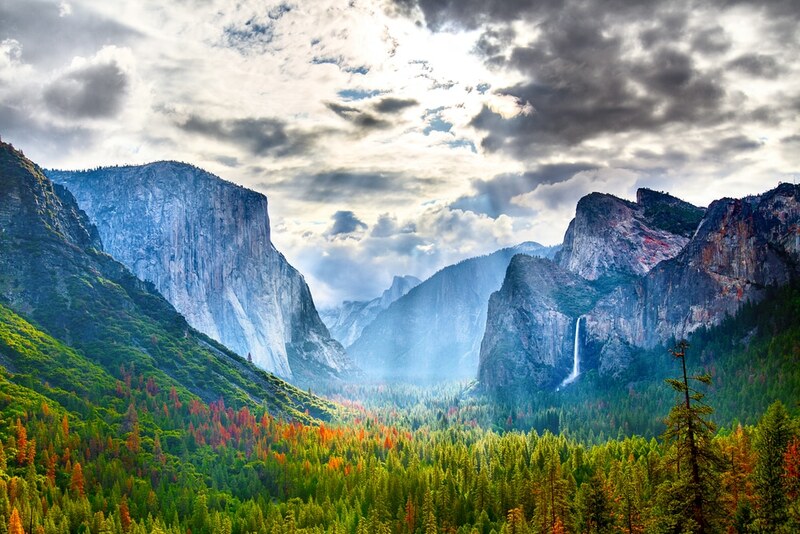 National parks are often referred to as America’s Best Idea. Below, we have given reasons on why are parks important for the current and future generations. The Earth is our home and it’s also humankind’s most precious resource. So as caretakers of the planet, we need to protect Earth’s biodiversity. It took billions of years for biodiversity to create life on the planet. However, because of our own making, biodiversity is constantly under threat. Protection of diversity is one of the reasons why are parks important. National parks protect the Earth’s biodiversity by providing sanctuary for the plants and wildlife that are too often destroyed by humans. High levels of biodiversity mean healthier and more resilient ecosystems. This results in the natural ecosystem to continue providing benefits like climate regulation, pollination, air purification, and more. The federal government ensures that national parks are protected from potential abusers. According to the Protection Of Government Property law, violators of these regulations will be receiving penalties from being imprisoned for 3 months or a $500 fine, or sometimes both. Connecting with Mother Nature is always a life-changing experience. Those who have been experienced the great outdoors come to a realization just how beautiful our planet is. Most even gained a new perspective on life. National parks provide an opportunity for Americans to experience the vast expanses of the outdoors. Nothing beats a good ol’ camping when it comes to providing a healthy and inexpensive leisure time. National parks showcase the best that nature can offer. Going to a national park is one of the few ways to experience nature in its true element. From the whales off the coast of the Olympic National Park to the American Bison of the Yellowstone, Visitors are given the chance to see and interact with different forms of wildlife. On top of that, many national parks offer many different activities like hiking, cycling, camping, kayaking, and more. These activities are considered safe, provided that visitors follow the rules and guidelines when visiting. In 2017, national parks have received 331 million visitors. This number just fell short of 90,000 visits to beat 2016’s record-breaking visits. An estimated $18 billion have been spent by visitors which supported thousands of jobs and added billions to the economic output of the country. The economic benefits of national parks extend beyond the scope of tourism. The natural amenities and recreational opportunities offered by national parks give the ability to retain people, entrepreneurs, and businesses. While you certainly can’t put any dollar value on pristine forests and towering peaks, there’s no doubt that the country’s national parks have a significant economic impact. National parks also happen to be America’s largest classrooms. The national park system provides a beneficial contribution to the country’s education system. On top of teaching students about the importance of the environment and why is nature important, the parks also provide actual field experiences and professional development opportunities for students. There are even centers like the Museum of the National Park Ranger in Yellowstone where people can learn about the history and heritage of national park rangers in the system. There are also park services that offer long distance learning opportunities that allow students to learn the world around them without the need to leave the classroom. Using virtual reality programs, students can tour with a park ranger or go whale watching. The importance of national parks can’t be understated. The federal government is doing its utmost best to preserve the many different biospheres all over the country. However, despite these efforts, national parks are still perpetually in danger. From industrialization to climate change, national parks are very much susceptible to partial or total destruction. National parks are a valuable part of the American culture. These wonders protect both our interest and that of the environment. Because of this, it’s imperative that we do our part in protecting these valuable lands before they are gone forever.